The Hole Warmer will give you even more realistic sensations with your TENGA Onacup, Egg, Flip Hole, or any of our other masturbator products! Simply snap the disc at the bottom, wait for it to heat up, slip it in your favourite toy and enjoy! 1. Click the metal disc inside the warmer to activate. The interior liquid will harden and radiate heat. 2. Insert the heated warmer into the opening of your toy and warm the inside for around five minutes. 3. Before use, remove the warmer and check the temperature with your hand to make sure that it is comfortable. 4. Enjoy your new, warm, realistic male masturbator! The reusable warmer (up to 30 times!) will go back it its original liquid state once immersed in boiling water. 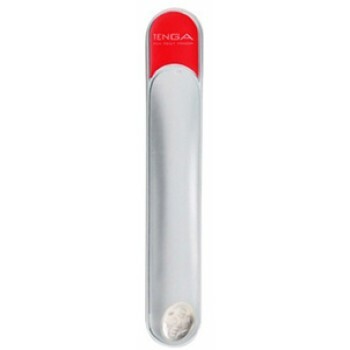 The Tenga Flip Hole is the ultimate in male masturbation. Now the hottest s..